Allie Moss is a New Jersey singer, vocal coach and guitarist. She released her own EP Passerby in 2009. 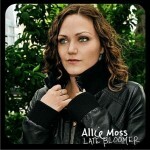 In 2011, Moss released her debut album "Late Bloomer". She regularly performs as lead guitarist for singer/songwriter and friend Ingrid Michaelson. While not performing on Ingrid's 2010 European tour, Allie returned to the fold during the summer of 2010 for a State-side tour. Allie is probably best known in the UK for her song Corner which has been used for a television commercial for BT Infinity, its broadband internet service. The single reached number 70 in the UK. 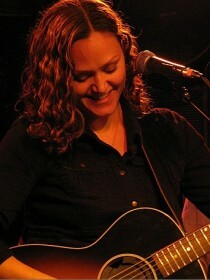 Her song "Something to Hold Onto" was featured on the TV show, Bones, episode The Feet on the Beach.